Our highly scalable and configurable e-Tribunal is developed to record all the judicial information and monitor the progress of cases beginning from case registration, till it is disposed-off with judgment or forward to higher court. It enables moving from traditional paper-based case filing to automation of the entire case life cycle. e-Tribunal provides a complete set of functionality including e-filing appeals, petitions cases etc, workflow management, Fixation of case, preparing cause list and reporting. "Applicants can file their appeals/petitions, view case status and full case history from anywhere with internet connectivity in just a few clicks"
Applicants can register their appeals, petitions etc. online from their place. The main advantage of e-Tribunal is that the entire information bench schedule, hearing dates, orders, judgments and full case history of a particular case would be available online. With the help of internet, the documents of a case can be accessed easily from anywhere at any time. It will help to manage tribunal resources more efficiently. Easy to manage schedule of bench members, preparing cause list, and providing information to applicants. It will also speed up end-to-end tribunal process. The information would not be misplaced as all the information regarding the case would be carefully recorded and stored. Adapt rapidly and cost effectively to changing legislation and business processes. Our e-Tribunal solutions will help you maintain the details of cases and manage cases- Area wise, Court wise, Branch wise,stage wise etc. It will reduce your paperwork and easy your life. We’ll be the alibi for that. It will allow the administrator to manage different types of courts e.g. Regular court, e-court etc. Ability to manage detail of members, dates, bench wise. This will help Application admin to manage i.e. Add/Remove/Update the Employee contact information. This will help the admin to have tracking and tracing of incoming and outgoing cases orders & notifications. This will help applicant to file online appeals with feature to upload required documents. This module will help administrator to Add/Edit/Delete information of all Users like Application Admin, Bench admin, Appeal Clerk, Bench Clerk, Order Clerk etc. It will allow administrator to add/edit/delete different Bench cities. Administrator will be able to add/edit/delete benches in a particular city (e.g. A, B, C etc.). Update the schedule of benches e.g. Functional or non-functional. It will help Appeal clerk to manage all details related to appeal, Update the status & Actions taken on Appeal. This will help bench clerk to generate, bench wise cause list. Appeal clerk & Bench clerk will manage the Defects related to Appeals, fees etc. 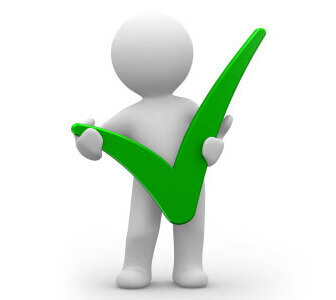 like check & Generate defect notices, Update status, printing & emailing of defects to Assess. This will help Bench Clerk to update the information related to the cases heard. This will help the order clerk to prepare pronouncements, Orders, judgments etc. update dispatch details of orders. This will help the admin to generate various kind of reports from the system like Cause Lists (Bench-wise, Daily, Weekly), Case Status (Bench-wise, Search by name, number, filling date, etc. ), Constitutions (Bench-wise, Daily, Weekly), Tribunal Orders, (Bench-wise, Search by name, number, filing date, order date, pronouncement date, etc. ), Pronouncements (Bench-wise, Daily).